Before we jump into the benefits of plank exercises – which are many, lets talk about belly fat for a moment shall we? When attempting to get rid of a jiggly belly most people will start with crunches. This will probably be their course of action until they realize the results don’t match the effort, or they simply get fed up. There has to be an easier, and more effective way to get a toned belly – right ? Yes there is! I’m sure you have heard of the plank, perhaps in passing, maybe in some depth. However, if you have not taken the plunge and started planking, I’m sure you are wondering how a simple body weight exercise can deliver dramatic results. Well, it really does. Here we will delve into what the the simplest plank exercises you can do for your body. We will reveal the benefits of the plank exercises, plus how to get the perfect plank form. So stop the endless crunches and let’s get planking! Plank exercise, how long should you hold for? The plank, is one of the best exercises to obtain and maintain a totally flat, toned belly. It also tightens and strengthens the main core muscles in your abdominal area. Rectus abdominis; or the straight abdominal muscle. This is the muscle that you mainly see when you have a six pack . Transversus abdominis; or the transverse abdominal muscle. 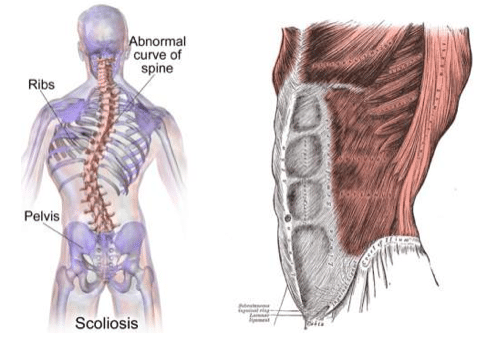 This is the muscle that plays a major role in the stability of the spine. Erector spinae; this is the collective name for the number of back muscles. These muscles run from your pelvis to your neck and head. Main function is stretching your spine. Stability and balance: You can not have good balance or stability without a strong core, because these muscles form the bridge of your upper and lower body. Everyday movements: When you bend, turn, stand or sit, use your core muscles. If you enter the beautiful world of planks, don’t forget that you should not over- or underestimate it. Overloading the abdominal muscles can increase the risk of injury. By not training hard enough you can get a weaker core, making it difficult to perform everyday tasks, such as bending over or sitting upright. Improved metabolism: When you planks, you actually burn more calories than if you did sit-ups or crunches. More flexibility: planks stretch your toes, feet, hamstrings, shoulders, shoulder blades and collarbone, improving your overall flexibility. Better posture: A good plank will align your bones and joints, which can provide a straighter spine. Reduces stress: Stretching the muscles that often can cause stress, regular planks can reduce stress and have a positive effect on your mood. Reduces the risk of back pain: It has been shown that planks can significantly reduce the risk of upper and lower back pain. Take a fitness mat and lie down on the mat with your stomach. Place your forearms on the floor with the arms bent and your elbow exactly under your shoulder. Then stand on your toes to raise your lower body. Make sure your body stays in a nice straight line. Your head, neck, back and hips remain horizontal. Tighten your abs and pull your belly button. Keep on breathing well while running the plank. Stay in the correct shelf position as long as possible. Build the number of seconds further, but pay attention to the good posture. If you have the right position, it is recommended to hold the plank three times for 60 seconds. When you start with planks it is of course great to build up quietly and thus start with shorter sets. For example, start as follows; ten seconds of plank ten seconds of rest, ten seconds of plank, ten seconds of rest etc. Do this three to six times. Hips, legs and back. When you do abdominal plank daily, you feel incredible changes in your body and in your mind. Though it looks simple, what else is it about this exercise that make it such a powerful ab exercise? The plank exercise will strengthen all the muscles that are attached to the abdomen. It goes beyond the abdominal muscles. It also includes muscles on the sides, back, buttocks, and even shoulders and arms. By strengthening the abdomen your posture will improve. The abdominal muscles can become weak, particularly if you are sitting in the office all day. If at the end of the day, you feel like your posture is a little crooked, this is usually due to a lack of strength in the abdomen. If you’ve ever tried to balance on one leg you’ll know how tricky it can be. It’s not just one of those things some people seem to able to do, your balance or lack of is mostly down to the strength of your abdominal muscles. Your abdomen is the function you balance with only one leg. The abdominal muscles play an important role in overall balance and stability. The secret to increasing your metabolism is developing the muscles that will burn calories even when you are at rest. Your resting metabolism will increase with the development of your muscles. Abdominal plank will strengthen your muscles and give your metabolism that extra jolt. Flexibility is one of the main benefits of doing plank exercises. This exercise works on the posterior muscle groups, (shoulders, shoulder blades and collarbone). It dose this by stimulating these muscles and encouraging them to work together. Back pain can be the result of a weak abdomen. When you begin to start with plank exercises, you can drastically reduce back pain. Plank exercises not only strengthen your core abdomen muscles, but also your upper back area. There’s a another bonus to doing plank exercises, not only do you get a tighter stronger core, it will also strengthen your arms muscles along with your thighs and buttocks. When you do planks every day, you will be developing and stretching muscles that cause pain and muscle cramps. These aches and pains are often caused by STRESS. When you are relax, your muscles will loosen and become less tense. The less tense your muscles, the less anxious you feel. Another tinng about doing plank exercises is that while you do them, you can just empty your mind for a while. Bliss. The focus it takes to do the exercise is kind of a distraction anyway. So while you work your muscles you will also have relieve the levels of stress and since stress increases cortisol a hormone that at high levels can cause belly fat, the less stress the better you will look and feel. Alles over supplementen, voeding en fitness! As a Certified Fitness Nutrition Specialist with a Diploma in Human Nutrition.Over the years, Dee has helped clients reach their personal fitness and health goals; the most prominent being weight loss and the attainment of lean muscle mass.Her personal motto when it comes to weight loss, and fitness is: "Don't make it harder than it has to be"